Anytime someone is injured on-the-job in Massachusetts, the first course of action is typically a workers’ compensation claim. Pursuant to MGL c. 152 section 25A, most employers in the Commonwealth are required to purchase workers’ compensation that will provide coverage to employees who are injured at work or contract a job-related illness. This insurance provides no-fault coverage of reasonable and necessary medical treatment and lost wages (after the first five calendar days) or partial or full disability benefits and retaining for those workers who qualify. However, you may an option to pursue something called third-party liability if another party – not your employer or co-worker – was fully or partially responsible for what happened. If you have grounds to pursue a third-party claim, note that your workers’ compensation insurer and/ or health insurance company may file a lien on whatever you are ultimately awarded. This is allowed so that injured workers’ don’t collect double recovery (i.e., your workers’ comp insurer paid your medical bills and then you are subsequently awarded damages for medical bills in your third-party lawsuit). But that doesn’t mean these cases aren’t worth pursuing. In fact, it’s usually a good idea because third party litigation will allow you to obtain coverage for losses not included in workers’ compensation benefits. These would include things like damages for pain and suffering, full lost wages (workers’ compensation will only pay up to 60 percent of gross average weekly wage for temporary total incapacity benefits for up to 156 weeks, etc. ), loss of consortium (for your spouse) and sometimes punitive damages. That’s not the only difference. While workers’ compensation claimants do not need to prove fault – only that the injury occurred in the course and scope of one’s employment – third party liability lawsuits are just like any other injury lawsuit in that you must prove negligence. In many cases these claims are against contractors or subcontractors, owners of the property on which you were injured (if different from your employer), manufacturers of defective or dangerous tools or motor vehicle operators. Our Boston workers’ compensation attorneys will help you review all of your legal options, identify possible defendants and give you a sense of what damages you can reasonably pursue. Delgadillo v. Television Center, Inc.
A recent case out of California illustrates why third-party cases aren’t necessarily a slam-dunk, but we don’t mean it to discourage anyone. The reality is these cases are often complex, which is why they require an experienced legal team. Bear in mind also that workers’ compensation laws and case law precedent varies from state-to-state. 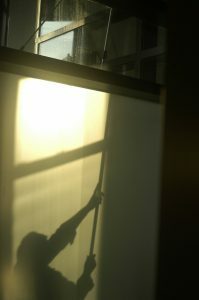 The case, weighed by the California Court of Appeal, Second Appellate District, Division Three, involved a worker who tragically fell to his death while washing windows. His family (wife and children) collected workers’ compensation death benefits from his employer, but then also pursued third-party litigation against the owner of the property where he fell. At its heart, this was a premises liability claim, with plaintiffs alleging decedent only fell because the property owner failed to install structural roof anchors. This is a statutory requirement and it’s the law because without those anchors, workers couldn’t attach themselves to a descent apparatus. Defendant moved for summary judgment, citing previous case law in that state that such a claim was barred because when a property owner hires an independent contractor, the property owner isn’t liable for injuries suffered by the contractor’s employee unless defendant’s affirmative conduct contributes to the injuries. The trial court approved the summary judgment motion and the appellate court affirmed. Essentially, because the property owner didn’t direct how the window washing would be done or otherwise interfere with the methods of the contractor in carrying out that work, it couldn’t be held liable. This is a disappointing outcome, but it’s important to understand why some of these cases fail to better understand when they are worth pursuing. The general rule in Massachusetts is similar to that established in California. As stated by the Massachusetts Supreme Judicial Court in the 1985 case of Corsetti v. The Stone Company, is that if an employer doesn’t retain control over the manner in which the work is done, it is thus regarded as the contractor’s own enterprise which means he (or she) – not the employer/ property owner – is the party responsible for preventing the risk. However, if the employer of an independent contractor retains the right to control the work in any of its aspects – including the right to initiate and maintain safety measures and programs, then that person has a duty of care to exercise that degree of control with reasonable care for safety. Further, if he/ she fails to do that, they may be held responsible to cover the cost of damages that result from that failure. Typically (though not always), this rule is applied when a principal contractor trusts part of the work to subcontractors, yet through the principal contractor or foreman superintends the whole job. In that scenario, the principal contractor can be subject to liability if he/ she does not prevent subcontractors from doing even details of that work in a way that poses an unreasonable risk of danger. This includes cases wherein perhaps the principal contractor did not know – but should have had they exercised reasonable care. Further, one must show the defendant had an opportunity to prevent the hazard by exercising their power of control and failed to do so. The question of whether an employer or property owner has control over the work being carried out varies greatly on a case-by-case basis. For example, let’s say in the scenario that happened in California that the building owner or one of its employees regularly visited the construction site and on a prior occasion observed another worker not wearing a safety harness. That could be construed as exerting some level of control in how the work was being done, which in turn could mean that the property owner assumed some responsibility for the safety of workers on site. Again, these issues will be highly case-specific, but it’s important to consult with a workers’ compensation attorney who has the experience as well as the resources to conduct a thorough investigation of your work injury claim to ensure all potential avenues of recovery are explored. If you or someone you love has been injured a Boston work accident, call for a free and confidential appointment at 1-888-367-2900.